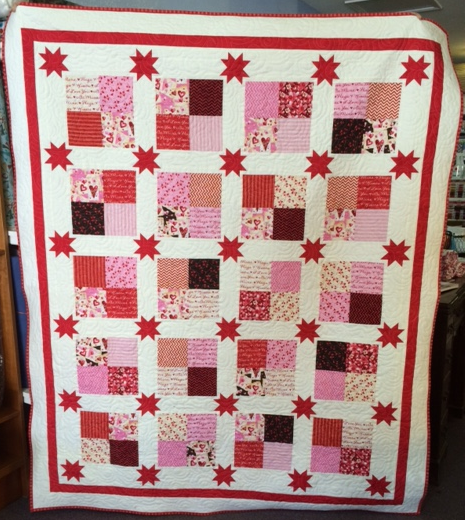 Quilt - Floating Stars - Valentine. Pattern by Heather Spence. Heart Strings fabric by Henry Glass. 59x71 Back is red with white words. 100% cotton machine wash gentle dry low.